The Clark Street Special Service Area (SSA) #23 includes all properties fronting Clark Street from Armitage on the south to Diversey on the north. In addition, it includes all properties fronting the south side of Diversey from Orchard to Lakeview. The mission of the Clark Street SSA is to maintain and strengthen Clark Street as a vibrant commercial and residential district and to ensure that the district is a clean and attractive environment for the community while fostering a collaborative partnership among all stakeholders. The LPCC is the service provider for the Clark Street SSA. The City of Chicago recognized the potential of Clark Street in Lincoln Park and agreed to invest in a multi-million dollar streetscape improvement program along this stretch of Clark Street in 2003. This project included wider sidewalks, better lighting, and landscaping aimed at creating a more visually appealing environment for neighbors and visitors. Area businesses and residents, with the help of the Lincoln Park Chamber of Commerce, proposed the establishment of an SSA on Clark Street and Diversey Parkway to maintain this project and to further enhance the corridor. The Chicago City Council passed the establishment ordinance for the Clark Street SSA #23 on December 4, 2002. The SSA was reconstituted (renewed) in December 2008 for 15 additional years. The Clark Street SSA #23 includes all properties fronting Clark Street from Armitage on the south to Diversey on the north. In addition, it includes all properties fronting the south side of Diversey from Orchard to Lakeview. See the Clark Street SSA #23 map for details. What services does the Clark Street SSA provide? See below for details and check out VisitClarkStreet.com for the latest news and information. 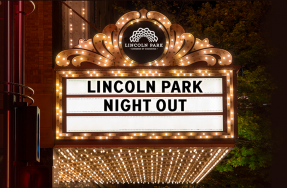 These platforms and events showcase all off the great businesses and happenings in this corner of Lincoln Park. VisitClarkStreet.com: Chicago’s hottest new address is not on Michigan Avenue – it’s VisitClarkStreet.com, the destination-style website promoting Clark Street in Lincoln Park as a thriving area for business owners, neighborhood residents, tourists and consumers from all parts of the city. Be sure to follow Clark Street on Twitter, Facebook, and Instagram, too! Friends of Clark Street eNewsletter: Browse through this monthly newsletter archive of our Friends of Clark Street eNewsletters, packed full of timely updates, exciting announcements, and community happenings. Feeling left out because you’re not currently receiving Friends of Clark hot-off-the-press? Sign up today. : Sample the bites that make Clark Street in Lincoln Park a true destination for foodies and celebrate the start of summer in this great Chicago neighborhood. We always have a wide range of culinary styles and tastes at this annual event. Art on Clark Opening Night Party: Celebrate summer and the return of Lincoln Park’s annual public art program, Art on Clark, with a special opening night party. Join us for a night of art, celebration, and fun along Diversey Parkway and Clark Street in Lincoln Park. Spooktacular: Each year, Clark Street in Lincoln Park turns into a ghoulish celebration of Halloween with the LPCC’s Spooktacular event. Tucked between Diversey and Armitage, you can enjoy all of your favorite activities: a costume contest for the kids, Scarecrows on Parade in the windows of local businesses, trick-or-treating at local businesses, and more fun for the whole family! Clark Street in Lincoln Park is a great place to do business, and over 300 businesses would agree! 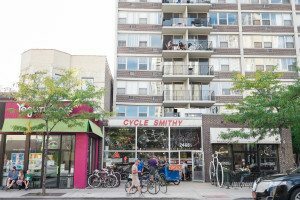 Doing Business on Clark Street in Lincoln Park: Learn more about why you should open your business on Clark Street and Diversey Parkway in Lincoln Park. Download our Doing Business on Clark Street in Lincoln Park brochure for demographics, market analyses, traffic and transit statistics, details on local destinations, and insider information only the LPCC can provide. Available properties: Looking for the perfect location for your business? Look no further than our listing of available properties in the area or contact us to find the perfect space for your business. 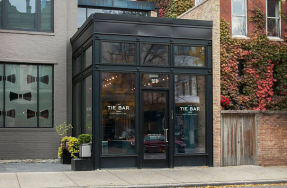 Facade Improvement Rebate Program: The Clark Street SSA offers rebates to business and property owners for qualified projects that improve the look of buildings and storefronts in the corridor. From projects as small as a new window or sign, to those as big as an entire facade replacement, this program keeps our neighborhood looking good. Visit our website for complete details on this program. Sidewalk litter pick-up: A clean-up crew has been hired to pick up garbage and debris on Clark three days a week during the colder months (November – April) and three days a week during the warmer months (May – October). Crews also empty all sidewalk trash and recycling bins. Supplementary sidewalk snow removal: Sidewalk snow plowing and salting services are provided after a one inch accumulation of snow. Landscaping: Seasonal plantings and streetscape amenities are maintained throughout the SSA area, including spring and holiday plantings for hanging baskets and in-ground planters. 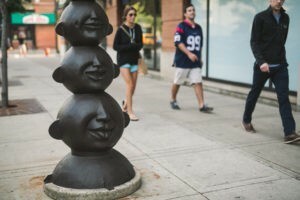 Art on Clark: Art on Clark is an initiative designed to showcase and support local artists and artisans, beautify the neighborhood, and add some pizzazz to the sidewalks of Clark Street and Diversey Parkway. Take a self guided tour, with the help of the Otocast app, to explore all the unique sculptures along the business corridor. Learn more about Art on Clark and download the Otocast app here. Holiday decor: Festive decorations are installed on the street poles for the holidays. Commissioners: The SSA is overseen by an appointed commission of local property and business owners. See a list of current commissioners and details about the Clark Street SSA commission. Commission meetings: All SSA commission meetings are open to the public. View upcoming meeting dates, meeting agendas, and previous meeting minutes on our commission meeting page. Requests for proposals: To ensure the best service and best pricing, the LPCC solicits competitive bids for all major services. 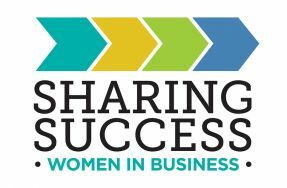 All requests for proposals (RFPs) are posted on a dedicated Clark Street SSA webpage and sent to select vendors. Contact us if you would like to be notified of future RFPs. Want to learn more about the Clark Street SSA? 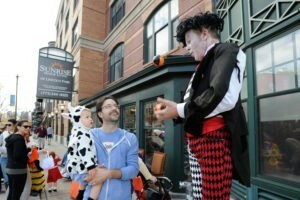 Go to VisitClarkStreet.com for everything you want to know!